Unannounced Amazon 10.1″ Tablet Coming Right In Time For The Holidays? New sources are back to stating that Amazon still has plans for releasing a 10.1″ tablet near the end of the year, just in time for the holiday shopping season. Surfing on the hype of their recent announcement, the Kindle Fire, Amazon is said to have Taiwan-based Foxconn Electronics pump out the reported tablets according to DigiTimes. A 10.1″ model would be extremely welcomed, and with the 7″ Kindle Fire at a very pleasing price of just $199, we can’t imagine the 10.1″ going for that much more. 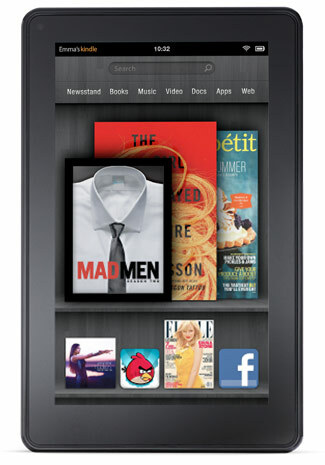 Everyone might want to hold off on pre-ordering the new Kindle Fire if you had been hoping for something a bit bigger.